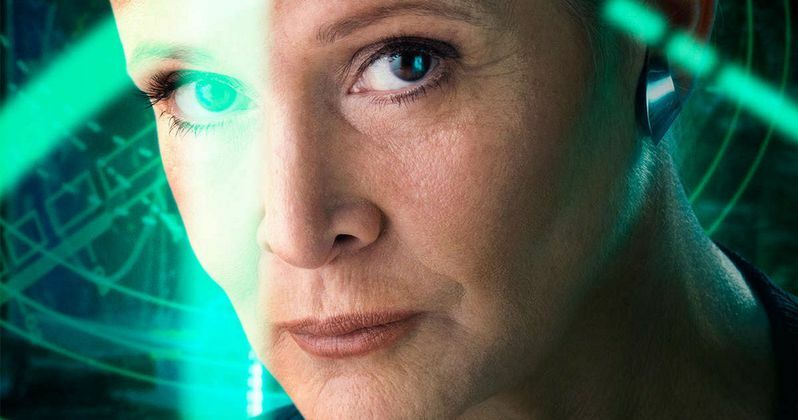 When Star Wars: The Force Awakens arrives in theaters later this month, we'll finally get to see Carrie Fisher reprise her iconic role as Leia Organa. But will she still be the same person? Despite tranitioning from a Princess to a War General, director J.J. Abrams thinks so. Though the woman now carries a lot of baggage. Abrams broke down the character's 30 year transformation during a Sirius XM town hall on Monday. And here's what he had to say about the Leia we knew at the end of Star Wars: Episode VI - Return of the Jedi in 1983, and the new Leia we'll be introduced to in this upcoming sequel. "I think it's sort of like any of us, you like to think you evolve and go through life experiences and become something else. But the truth is we're all kind of who we are. My guess is most of us would say, 'I'm kind of the kid I was, still.' But I also think both are true. It's a little bit, almost a nature-nurture thing. You are who you are naturally, but as you go through life, you harden in some ways, you hopefully become more enlightened in others. Her evolution from princess to general is part of her life experience, but she's always going to be Leia." In Star Wars: The Force Awakens, everyone associated with Leia has no problem calling her by her new title, General. Except for one holdout. It seems Harrison Ford's Han Solo still holds an affectionate nickname for his once and future lover. Says Abrams in an interview from last month. "There's a moment in the movie where a character sort of slips and calls her 'princess." Carrie Fisher herself has described Leia's transformation from Princess to General as a difficult one. And let's not forget that she's the daughter of Darth Vader. And holds the power to be a Jedi. All things that should be addressed in the new film. About reprising her role, Carrie Fisher had this to say. "[She's] under a lot of pressure. Committed as ever to her cause, but I would imagine feeling somewhat defeated, tired, and pissed." A new video has arrived from the Sirius XM town hall, where you can watch J.J. Abrams discuss Princess Leia's transformation. The Sirius XM Town Hall with J.J. Abrams, hosted by PEOPLE and EW editorial director Jess Cagle, will premiere Dec. 14 at 6 p.m. ET on EW Radio Sirius XM 105. What do you think? Is this the Princess you were hoping for?